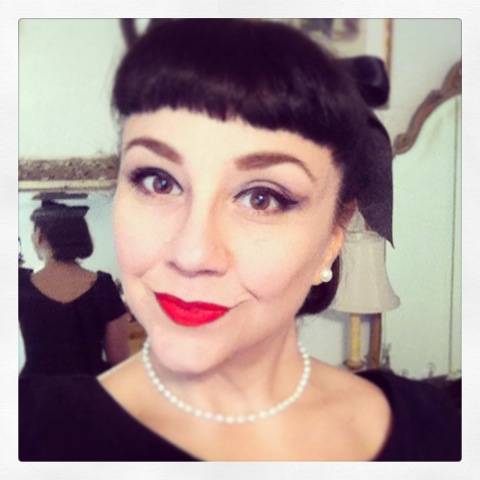 Not everybody wears a typical foundation these days, but anyone who does needs some sort of base to help it stay put. Primer is analogous to the gesso painters use to prep their canvases! 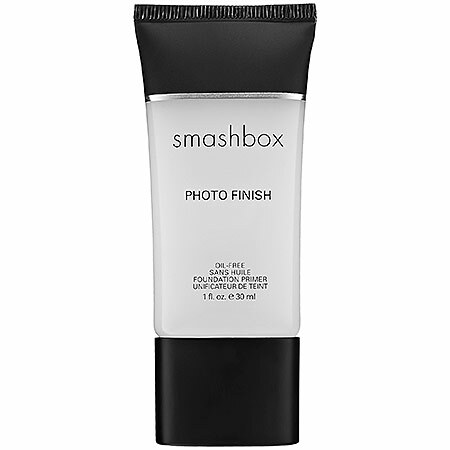 The Smashbox Photo Finish Foundation Primer is light and clear, oil free, and perfectly weightless. Those who need to combat discoloration can get this in violet and green tints, but I’m happy with the colorless default product. It diffuses fine lines very well and blends perfectly with my foundation (and BB cream, when I wear it instead). My current foundation of choice is Chanel’s Vitalumiere Aqua, a lightweight, water-based formula that creates a comfortable, porcelain finish. This foundation doesn’t hide my skin, it shows it off to its best advantage. Even though it’s lightweight, it offers a modest amount of sunscreen protection (SPF 15). Since I use a moisturizer that also offers sun protection, this is plenty for everyday wear. The one novel element to wearing the Vitalumiere Aqua is the need to shake the bottle for close to a minute before dispensing. This assures that the pigment is evenly distributed, and it’s not hard to do. While I love Coty Airspun loose powder and the vintage finish it offers, it’s messy and full of questionable ingredients. Nowadays I use Laura Mercier’s Pressed Invisible Setting Powder to finish off my foundation. This is the famous white powder that combats shine while it sets. It’s fast, long-lasting, and goes on easily with a sponge or brush. In three words, I love it. Nothing fussy here, and no need to match skin tones as it’s essentially invisible. These products aren’t cheap, but the quality and effect is worth the cost. The Photo Finish primer is available at places like Sephora and Ulta for around $36 an ounce. Sephora offers a special 1.7 ounce edition for $49, which is a decent discount. 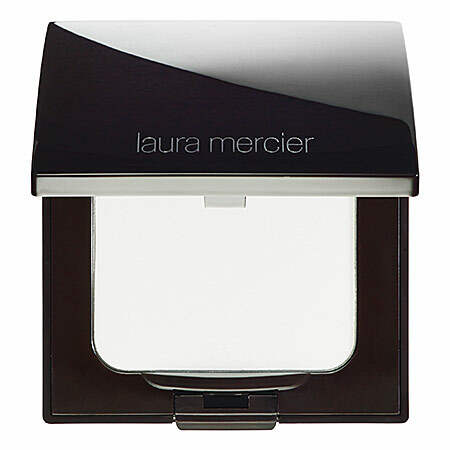 The Laura Mercier powder is also available at Sephora for $32. 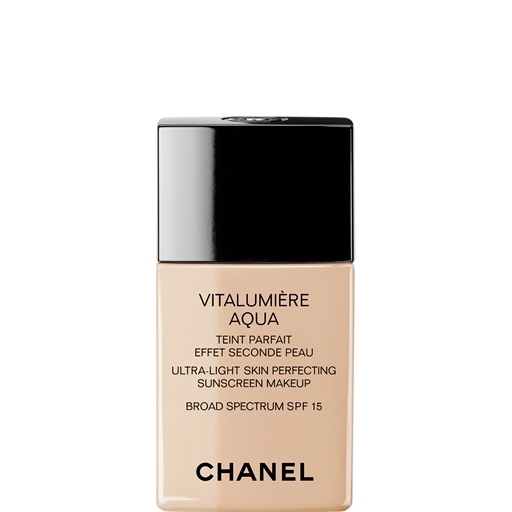 You can get the Chanel Vitalumiere Aqua foundation at Chanel.com, most Chanel boutiques, and virtually any department store Chanel counter. I get mine at Dillard’s and Macy’s.